I would definitely recommend this watch! I have bought two for myself over the past years. I wear it all year long. For me, the white band is not limited to summer, and it goes with everything. Love it! 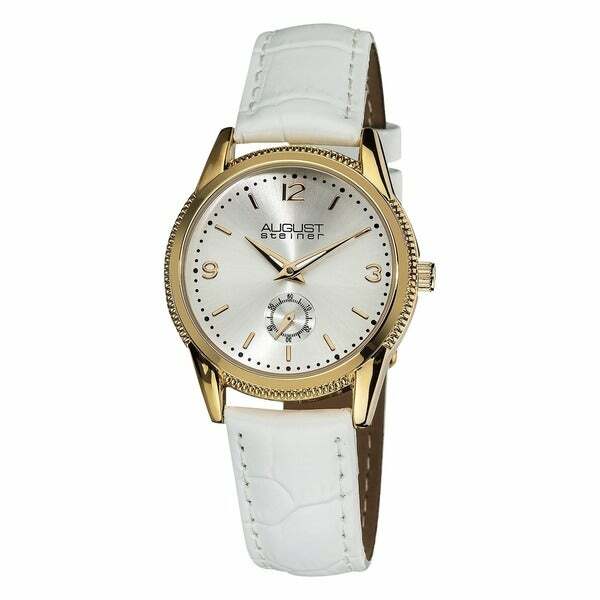 This August Steiner women's watch has a genuine leather strap and is powered by Swiss quartz movement. It features easy to read Arabic numerals with baton individually applied markers. The sleek slim hands and beautiful sunray dial add class and elegance to this timepiece.